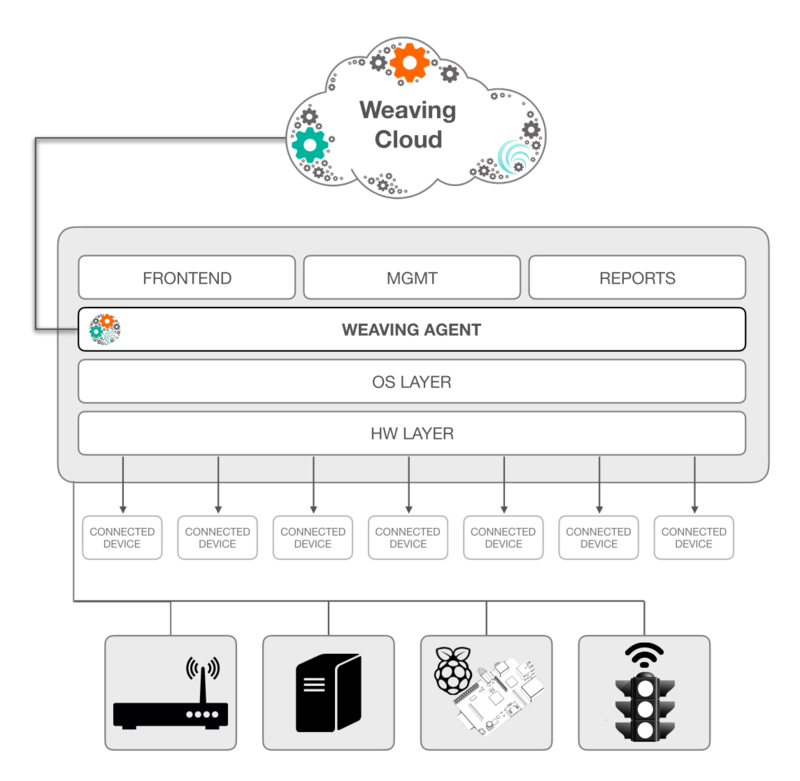 WeavingThings is a software only solution and is comprised of two main components; a cloud service and a local IoT agent. Weaving agent runs from the local network. It can be easily integrated and run on any hardware or operating system (e.g. hardware gateway, router, pc etc.). Weaving cloud service seamlessly interacts with one or more agents and further extends the agents’ capabilities, with services, database and tools. Weaving cloud service is platform agnostic and can run on any server, as a public or a private cloud.